The deadline for 2018 Unsung Hero Awards nominations is fast approaching. There are already over 250 nominees, but there is still time to get involved and double this number before the closing date. 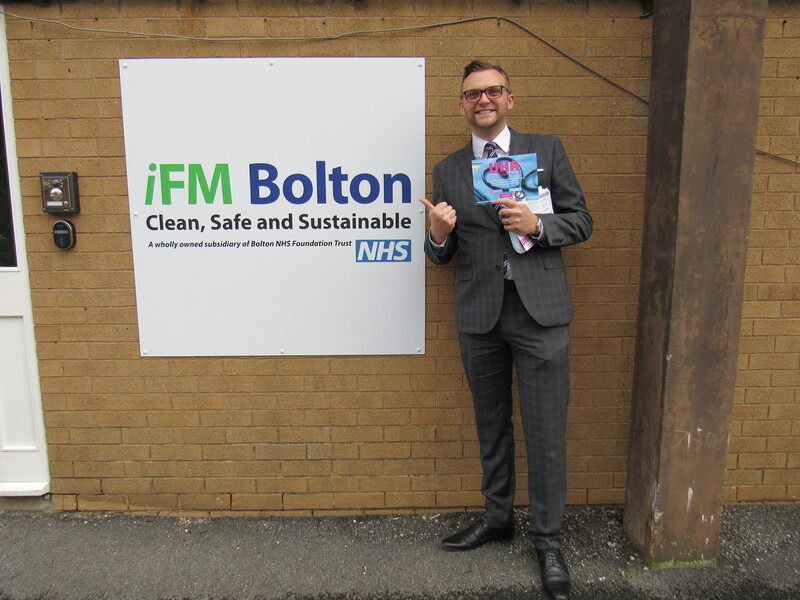 Aiming to find the best non-medical staff within the NHS, our team has visited Bolton NHS Foundation Trust to promote our awards. One of the main benefits of face-to-face contact with NHS workers is an opportunity to meet NHS Unsung Heroes in person and get inspired by their commitment to work. We’ve met dozens of Corporate staff including HR, Payroll, Finance, IT and Medical Records to name but a few. As it was the middle of the day, we could see for ourselves how all staff are entirely focused on delivering the best results in their work. You might be even surprised how busy it can be on the Corporate side of Hospital. Warmly greeted at each office, we were delighted to get a few minutes from each team and present our upcoming event. Pleasantly surprised, before the working day was over we’ve noticed several nominations coming in from the Bolton NHS Trust staff including individual and team nominations. We wish all the best of luck to all the nominees! We want to say a massive “Thank You” to Bolton NHS Foundation Trust for having us and to all its staff for the incredible work they do! Additionally, thanks a million to Sandie Wilkie, Staff Engagement Lead at Bolton NHS Foundation Trust, who organised our visit and supports the Unsung Hero Awards over the years. If you are interested in arranging a visit, we would love to hear from you. Please contact our team via email unsunghero@gotojobboard.com or dial 0161 214 7992. The Unsung Hero Awards are setup to recognise the hard work that non-clinical healthcare staff do every day, that can sometimes go unnoticed. If you have a great story about any NHS non-medical worker who goes the extra mile in work, share it with us through the nominations entry form or email unsunghero@gotojobboard.com.